Guatemala Fraijanes Palo Alto Azul is from Finca Agua Tibia, a farm managed by Industrias Agrícolas Centro Americanas. Finca Agua Tibia is located in the municipality of Fraijanes within the department of Guatemala, Guatemala. Finca Agua Tibia was established more than 150 years ago by Franciscan monks and has been producing coffee since 1940. Coffee processing continues to be steeped in tradition and has not been modernized. Seventy-five percent of Finca Agua Tibia is preserved forest. There is also an ornamental nursery, other crops and an award-winning dairy farm. 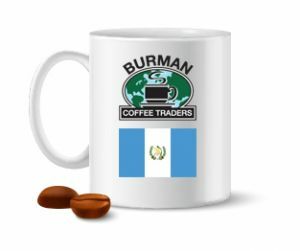 This cup falls about half way between an Antigua and Huehue. Lighter roasts show a more Antigua style cup profile, a little hint of floral with some nice and smooth chocolaty notes, a little thinner and sweeter. As one pushes the roast a bit further it develops into more of a malty tone and the acidity falls off, still a sweeter edged coffee up until 2nd crack, which turns it a bit stronger and smokier, much dryer darker toned complexity. A nice medium roast is the way to go; at least to start. Very balanced and a great everyday drinker. Lighter roast are equally as tasty with this being a clean cup but a little bite from the acidity. Darker roasts will be good but much rougher and less delicate.